WordPress is one of the most powerful content management systems if used correctly… but it does have somewhat of a learning curve. But today is your lucky day because we have compiled a list of the biggest how to guide for WordPress. From installing plugins to changing your permalink structure, this guide has it all. 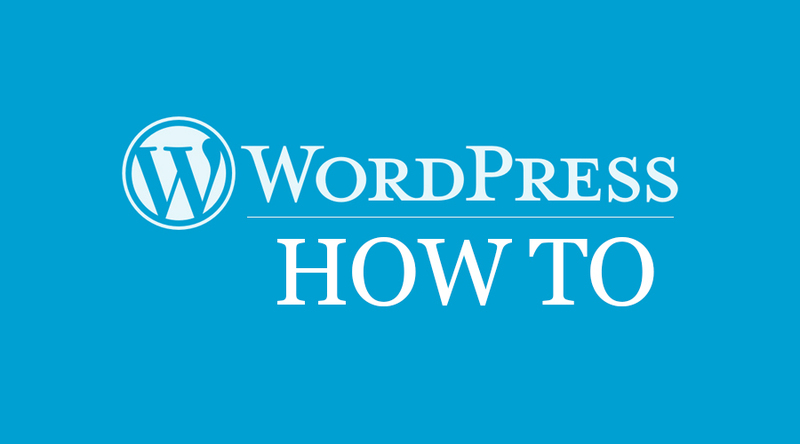 After reading this detailed guide, you will no longer be a WordPress dummy, but a PRO. In order to have a WordPress based website, you will have to install the WordPress script on your server that is using cPanel. Most linux hosts use cPanel and you are most likely on cPanel if you are with Godaddy, Bluehost, iPage, eHost, Bluehost, Siteground, etc. Now, there are a few different ways that you can install WordPress on your server. We are going to walk through each way starting with the easiest and moving to the most difficult. Softaculous, QuickInstall and Fantastico are all 1-click-install cPanel add-ons that make installing 3rd party scripts really easy. If your version of cPanel has one of these software add-ons, we are going to show you how to install WordPress using these simple programs. For example sake, we are going to use Softaculous to install WordPress. So login to your cPanel and scroll down to the bottom where you see ‘Softaculous App Installer’. This is where you can select which software you want to install on your server. Choose WordPress and you will be taken to the Softaculous page where you can see all your current installations of WordPress as well as install a new one. Click the big blue Install Now button to begin installing WordPress on your server hosting cPanel. The site setup page has a few fields that you need to fill out in order to get your WordPress website going. First, you will have to choose a protocol. We usually stick with the basic ‘http://www.’ but if you are going to be selling products or accepting credit cards you may want to use ‘https://www.’. Next, you will choose the domain that you would like WordPress installed on. 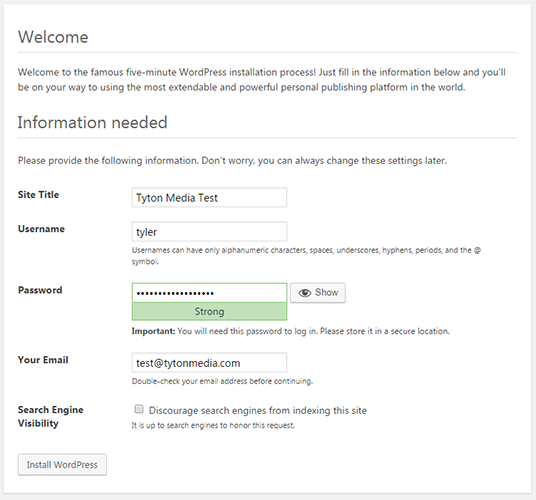 Since we already have WordPress installed on tytonmedia.com, we are going to make a test sub-domain and install WordPress there. In Directory tells Softaculous where to install WordPress. If you you want your WordPress website to be at www.yoursite.com/blog then you would put blog here. Since we want to install it on the root, we leave this field empty. Next you will name your website. Enter in the website name and website description. The site name should be your brand name and the site description should be a few words describing your business or website. 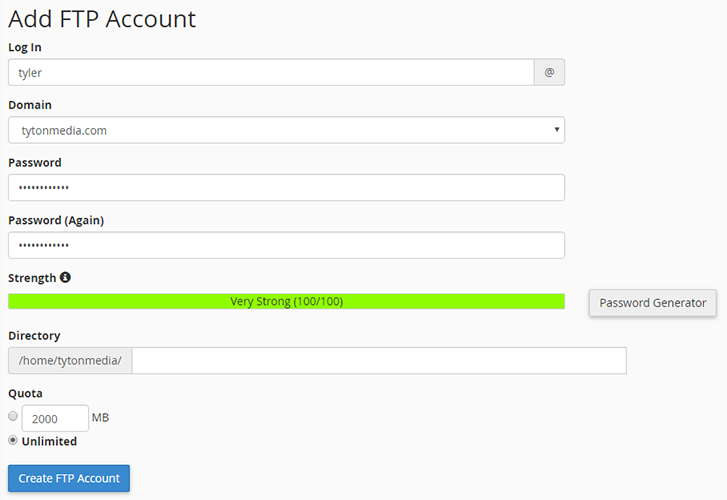 Now you will create your admin user account to be able to sign in to WordPress and make posts, etc. Choose a username, a strong password and choose a email that will act as the admin user. We typically ignore the advanced options and the select theme because we will change these later anyway. 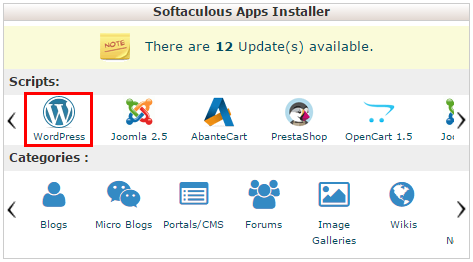 When you are ready, click the ‘Install’ button and Softaculous will begin installing WordPress. Once its is complete, you will get a success message that WordPress has been installed. It will give you your links to both login to WordPress as well as see your new WordPress website. 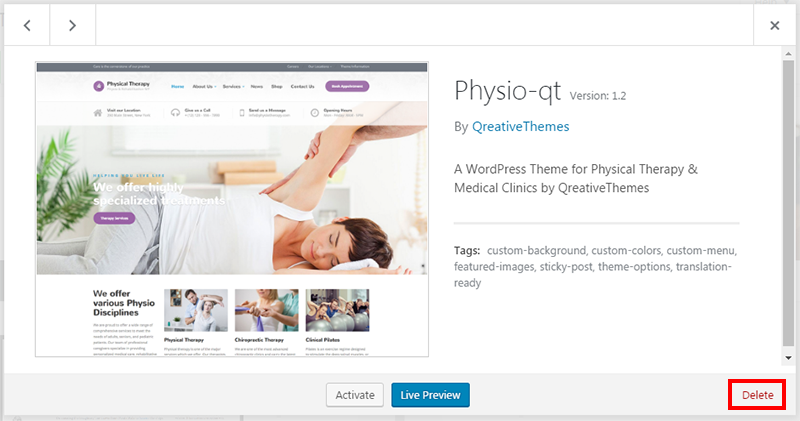 You can now login to your WordPress wp-admin area, choose a theme and edit your settings. So what if your cPanel doesn’t have any 1-click install software? Well, you are going to have to just install WordPress the old fashioned way… with FTP. FTP stands for file transfer protocol and is how you upload and download files to and from your server. So in order to install WordPress on your server using FTP, you first have to create a FTP account. Next, you will have to download the latest WordPress build from here. Now you need a FTP client to upload the WordPress files to your server. I suggest using Filezilla as it’s great for both amateur and professional webmasters. Extract the zip file of WordPress to your Desktop or another location on your local computer. 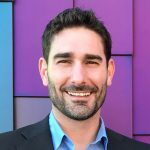 Open up Filezilla to create a new connection to your server. Enter the details of the FTP account you created in cPanel and click ‘Connect’ when you are done. You should now be connected to your server via FTP. Head to the public_html folder where we will install the WordPress software that we downloaded and unzipped to our computer. Drag the entire contents of the WordPress folder into your public_html folder (or wherever you want to install WordPress). It will take some time to upload so just wait until all files have uploaded. Once all the files are uploaded to your server, you can begin setting up your WordPress website by going to the URL of the installation. 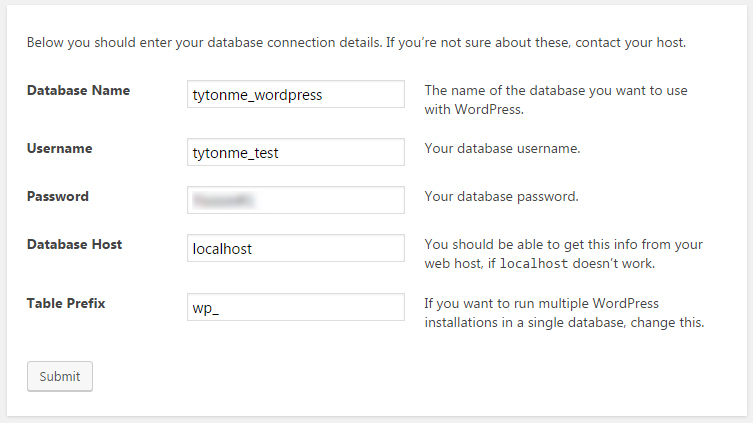 So in our example, we installed WordPress on test.tytonmedia.com, so when I go to this URL it will begin setting up my WordPress installation. You will now need to create a database for the WordPress software. Head back to your cPanel account and go to the Databases section and click on MySQL Databases. Here you will create a new database for WordPress to use. Typically wp or WordPress is a fine name for your database. Make sure to remember or write down these details because we will need to use them later in the installation process. Click create a database and then click go back to create a new user that will connect to the database to run queries, commands, etc. Choose a username, select a strong password and click ‘Create User’ when you are ready. Click go back a gain and scroll to the bottom where you have to add the user you just created to the database you just created. Select the user and the database you juts made and click add. 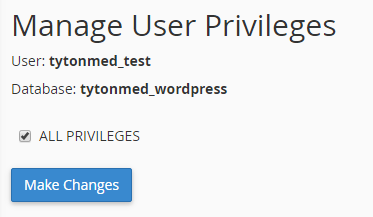 Select all privileges and click ‘Make Changes’ to add this user to your new database. Now that all the database details are created, you can head back to your WordPress install and enter the information you just created in your cPanel account. When everything looks ok, click the submit button and you will be forwarded to a page to confirm your installation. Click ‘Run the install’ and WordPress will begin installing. It will ask you for a few more details before it fully installs WordPress on your server. Choose your Site Title, Username, Password and Email. If you do not want search engines to find your website, select the ‘Discourage search engines from indexing this site’ checkbox. Select ‘Install WordPress’ when you are ready to install it on your server. You have now installed WordPress via FTP! Delete or removing a Wordpess blog from your server is a lot easier then installing it. Make sure you back up your WordPress site in case you change your mind about deleting it. When deleting your WordPress website, there are two different pieces to delete…the website files and the database. The easiest way is to delete your WordPress blog via cPanel. First, we are going to remove all the files via cPanel file manager. Login to your cPanel area in your hosting account and head to the File Manager. If its on your main domain then it should be in the public_html or www folder. Select all items in the list by clicking the top file/folder, holding shift and select the last file. This will select all your WordPress files. Once all the files are selected, click the delete button at the top of the menu bar. A popup will show, allowing you to confirm the deletion of your files and wordpress website. If you want to skip the trash and remove the files from your server for good, then select the appropriate checkbox. Click confirm and all of your WordPress files will be removed from your server. It should now say “This directory is empty” and your site should be blank now. Next, we must delete the database to fully remove our WordPress website. Go back to the cPanel dashboard and look for the MySQL Databases link. Scroll down to view the current databases and you should see the database that your WordPress website was using. When you are ready, click the delete link and you then confirm that you want to delete this WordPress database. You will then get a success message that your database is now deleted.. Your WordPress site is now deleted. Adding post categories in WordPress is pretty simple. Just login to your WordPress admin and hover over the post link to show the Categories link. Click the Categories link to add a new category. To Add a New Category all you have to do is type in the Name of the category and click ‘Add New Category’. 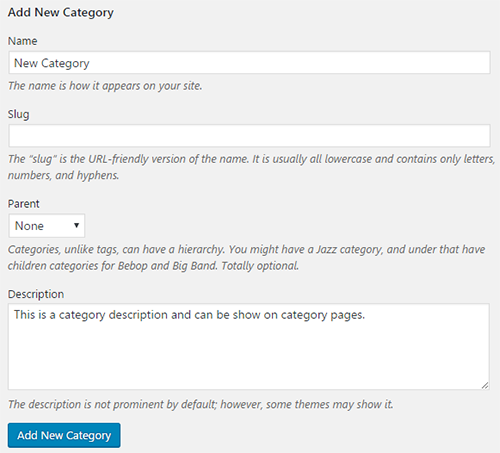 WordPress will automatically create the slug based on the name you entered for the category. To make sure the category was added correctly, check the right side of the page that list all the categories. And that is how you add a category in WordPress. 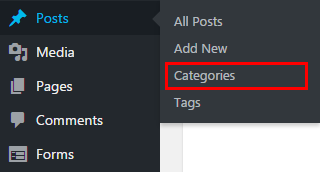 Adding category descriptions in WordPress is easy. Click the Categories link to add a new category or view your categories. If you are creating a new category, simply enter in the category description in the ‘Description’ box. If you are editing a previous category, hover over the category name and click edit, then add the Description. Head back and make sure the description was entered how you want and you have added a category description! Deleting categories in WordPress is very simple. Head to your wp-admin area and Hover over the ‘Posts’ link in the left sidebar and click ‘Categories’. On the categories page, find the category you want to delete in the directories list and hover over it. Click the delete link and this category will be deleted. Note: If you delete a category connected to posts, it will be remove from that post as its category. Adding the small Google Analytics tracking code to WordPress is simple and can be done in a few different ways. First we are going to show you how to get your Analytics Tracking code. Just head to Google Analytics and click ‘ADMIN’ at the top. Select Tracking info under the property column of the admin area and then click ‘Tracking Code’. Once you are on the Tracking Info page you have access to your Tracking ID as well as your website tracking code. If you want to add Google Analytics tracking code to your footer.php, you will need the website tracking code. If you want to use a plugin to add Google Analytics, you will only need the Tracking ID. To add your Google Analytics code to the footer.php file, copy the entire website tracking code. Login to your WordPress wp-admin backend and go to Appearance->Editor. Once you are in your theme editor, look in the right column under Templates for Theme Footer. Click Theme Footer to edit the footer.php page. 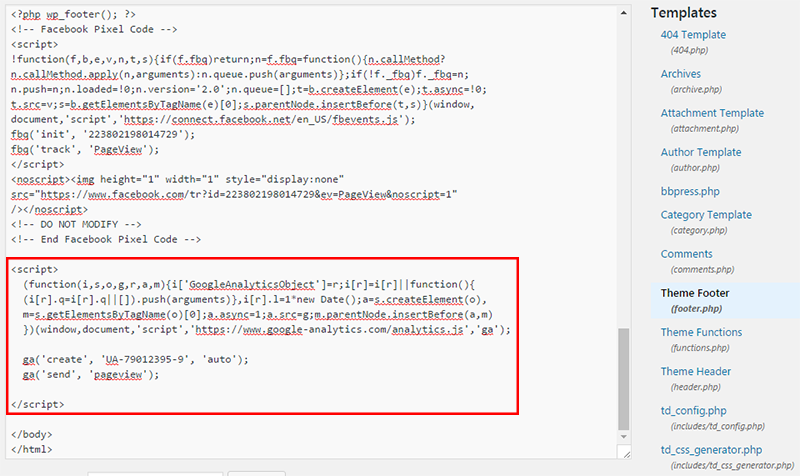 Scroll all the way to the bottom and paste your Google Analytics Tracking code right before the closing </body> tag. 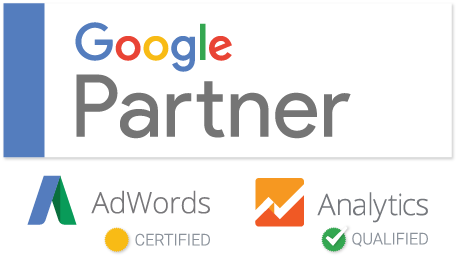 Google Analytics is now installed on your WordPress website. Installing analytics using a WordPress plugin is easier than the method before, but I would recommend using the least amount of plugins possible. Install the Google Analytics Plugin by MonsterInsights. Once the plugin installed, you will see a new tab on the left menu called, ‘Insights’. Click settings to set up your analytics via this plugin. 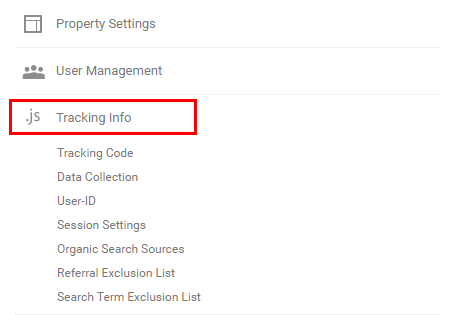 In the Insights Settings page, you will have to connect your Google Account so that Monster Insights can install the tracking code on your WordPress website. If you haven’t already created a Analytics account, check out our Google Analytics Guide. 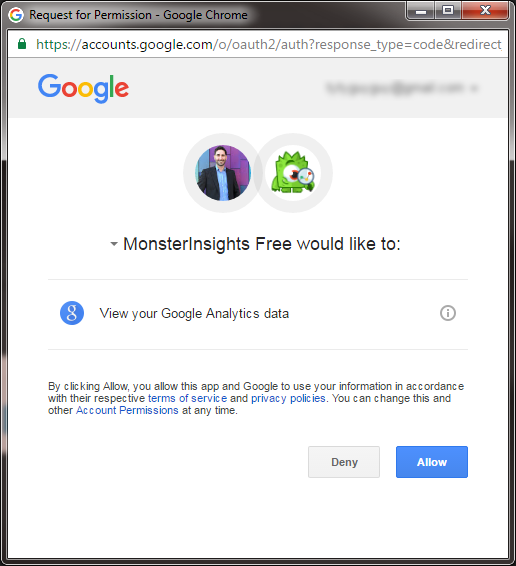 Click the authenticate with your Google Account button and you will be prompted to allow MonsterInsights access to your analytics data. Click Allow and you will get a code. Copy the code and go back to the Settings page and paste it on the authentication box. Once you have authenticated the app, you can choose which of your Analytics properties you want to install on your WordPress site. Click save changes and your Analytics tracking code is now installed on your WordPress website. Changing your password in WordPress requires that you have access to either your WordPress admin area or the database via phpMyAdmin. If you have access to your WordPress backend and you want to change your password then you can easily change it back clicking Users in the left menu. Find your account, hover over it and click edit. On your user profile page, scroll all the way down to the bottom until you see the Account Management section. Click ‘Generate Password’ and a box will appear with a new, randomly generated password. I suggest using the random password generated by WordPress to help with security. If you must create your own password, simply type in the password you want to change to and select the ‘Confirm use of weak password’ checkbox (if your password is weak). When you are ready, click ‘Update Profile’ and your new WordPress password will be updated via wp-admin. Changing your password via phpMyAdmin is a little more difficult and should only be performed by experienced WordPress users. Login to your phpMyAdmin area where your database is located. If you aren’t sure how to find your phpMyAdmin area, read our guide on how to use cPanel. When you are in your phpMyAdmin area, find your database and look for the wp_users table. Click on the user table to see a list of all your WordPress users. Find the user you want to change the password for and click ‘Edit’. On the edit user page, find the user_pass field and click the function dropdown and select MD5. Once you have md5 selected, enter in your new password into the user_pass field. Once you click go, phpMyAdmin will encrypt your password using MD5 hashing and save your new password into the database. Upon successful completion, you will get a success message saying 1 row affected. Your WordPress user password is now changed via phpMyAdmin. Sometimes you do not want to allow visitors to comment on your WordPress articles. Either way, we are going to show you a simple way to turn off comments in WordPress. First, head to your wp-admin area and look for the Settings tab in the left menu. 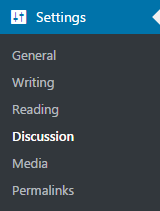 Click the Discussion sub menu and you will be taken to the Discussions page where you can change options to turn off WordPress comments. Under Default Articles Settings uncheck the box that says ‘Allow people to post comments on new articles’. Click save and your comments will now be disabled. You may still see the comment box on your posts because you are logged in as admin so I will show you how to completely remove the comments template. Head to Appearance->Editor to edit your WordPress template. Find the single.php template and look for the comments_template() function call. Add to backslashes in front of the string so that its commented out. Reload your blog post and the comments box should be gone now! WordPress allows you to create users in your wp-admin with different roles so you can more easily manage your WordPress site. To create new users, find the Users tab in the left menu and choose Add New in the sub menu. On the ‘Add New User’ page you have 8 allowable fields for each user but only username, email and password are required. Enter a unqiue username for your new user as well as their email address. 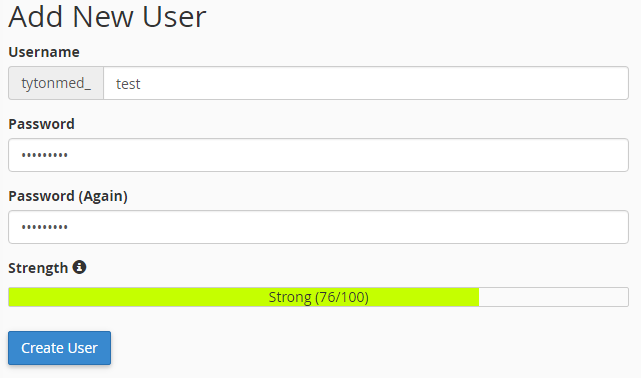 Choose a strong password for the user to enhance security on your site. If you want to send the username and password to the new user, then select the send user notification checkbox. Lastly, select which role you would like to set the user as. Once you are done, click the Add New User button and you have now created a new user in WordPress! WordPress is a very powerful CMS and it allows you to change the structure of your URLs for your website so they they can be SEO friendly. To change your permanlink structure, go to your wp-admin and click Settings->Permalinks. WordPress gives you 5 optional permalink settings plus a custom structure for advanced users. Plain – Default WordPress setting and not ideal for any website looking to gain SEO. This is a good setting for development because you can easily enter in post numbers in the URL for easy testing. Day and name – Good for new sites that are posting news stories and content mulitple times per day. This structure allows to differentiate between similar named posts on different days. Month and name – Another good structure to use for news sites but leaves out the day. Good structure for news sites publishing weekly. Numeric – This numeric based setting is similar to plain but a little more SEO-friendly because it contains the section (archive, category, single). This setting is not recommenced for SEO. Post name – Post name is probably the most popular structure for WordPress SEO. It provides clean, keyword rich URLs without a deep folder structure. Post name is great for blogs with long or timeless content that is unique. Custom Structure – The custom structure allows you to use variables to create your own WordPress permalink structure. Once you choose your structure, click save and your new permalink structure will be changed. Sometimes you don’t want your WordPress site to be searchable in Google or other search engines. To block search engines from crawling and indexing your website, login to your wp-admin area and find the settings tab in the left menu. 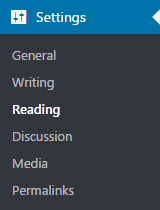 Click the reading sub-category and look at the very bottom of the fields. You will see a field called ‘Search Engine Visibility’ and a checkbox to discourage search engines from indexing this site. Check the box and click save and your WordPress website will now be hidden from search engines. Installing default themes from WordPress is very simple in wp-admin. The only problem is that you are limited to the themes that they provide. To get started, login to your wp-admin backend and click Appearance->Themes. 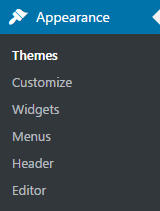 Here, you can view all your currently installed themes including your active theme. You are more than welcome to install any of these default WordPress themes like twenty seventeen. twenty sixteen or twenty fifteen. If you want a different WordPress them click ‘Add New’ at the top. 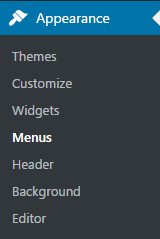 Find the theme you want and click the Install button to install your new theme. You have now installed a WordPress theme via wp-admin. 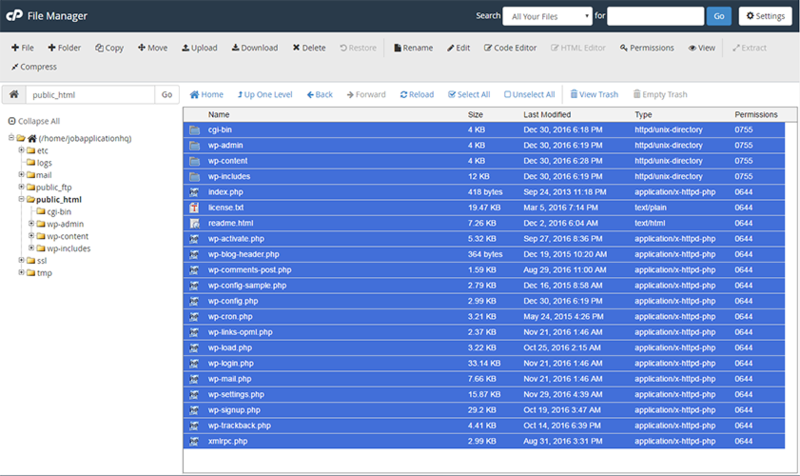 WordPress also allows you to upload your themes via a zipped file. To install a theme via upload, first you must download a theme that is zipped up correctly (most themes online will be the right format to use this method). Once you have downloaded your new theme, login to wp-admin and go to Appearance->Themes. Click ‘Add New’ at the top and then click ‘Upload Theme’. When you click upload, you will be asked to select your zipped theme to upload. Browse to your zipped theme and click open once you find it. The install now button will now be clickable so click that and your theme will start installing. You have now uploaded a theme via zip file. This is probably the most difficult way to install a WordPress theme but its the most reliable. Download a theme that you like from the web and extract the zip contents to your local computer. Use your favorite FTP client and connect to your WordPress site. Browse to your /wp-content/themes folder where you should see your other installed themes. 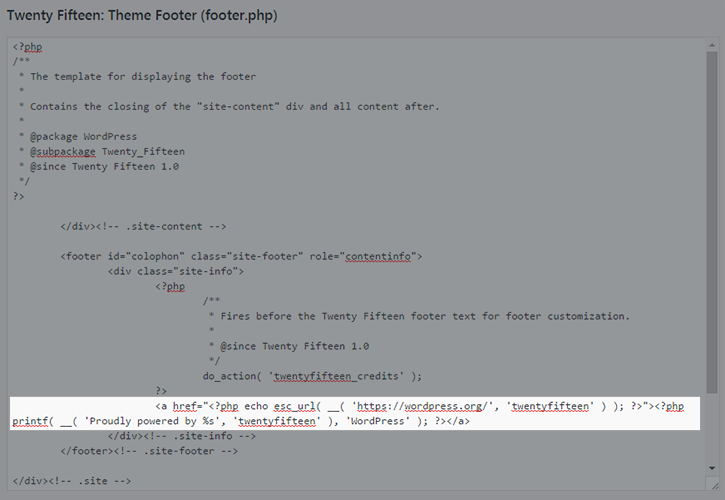 Move your extracted theme files to the themes folder in your WordPress install. Make sure that there is not another folder inside the main template folder or it wont install correctly. Head back to your wp-admin area and you should see your newly uploaded template in your themes area. Hover over your new theme and click ‘Activate’. You have now changed your WordPress theme via FTP. Deleting a WordPress theme is very simple. Just login to wp-admin and head to Appearance->Themes. Now, in order to delete a theme, it cant be the current active theme so we have to activate a different theme. Hover over a non-active theme (or the new theme you are installing) and click Activate. Now that the theme you want to delete is inactive, hover over it and click theme details. A large popover will appear showing the themes author, details, etc. You will see a Delete button in the bottom right corner of the popup. 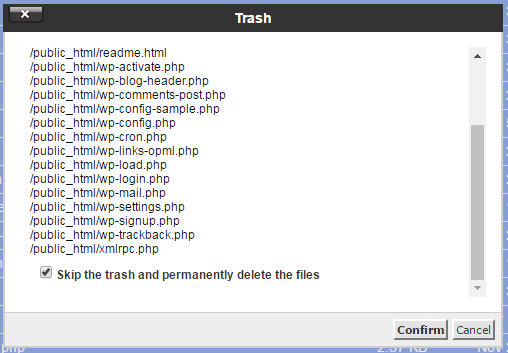 Click the delete button and your WordPress theme will be remove from your server and removed! WordPress is a very powerful CMS that includes a media library where you can upload, managed and edit all your photos, videos, files, etc. To upload files to your WordPress website, login to your wp-admin area and click the Media link in the left sidebar. Click the ‘Add New’ button at the top of the media library page. The upload area will appear when you can either drag files to the dashed square area or click ‘Select Files’ to browse your local machine. When you find the image you want to upload, select it and click open. It will upload and then you will be able to view it in your media library. To add images to your posts or pages, just edit the post or page you want to add it too and click ‘Add Media’ at the top. Browse to your file in the media library and select it. Before clicking ‘Insert into post’, make sure you check out the images options in the bottom right of the insert media popup. 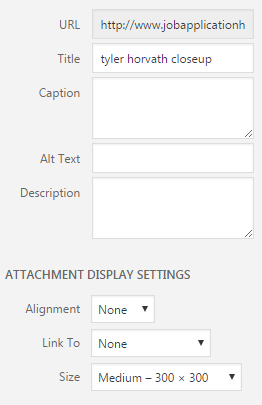 You have the option to add a title, alt text, alignment, link to file, and size. Once you have edited all the options, click Insert Into post and your image will be inserted into your page or post wherever your cursor is. Currently, there is no default functionaliy to copy pages in WordPress. The easiest way to duplicate a page in WordPress is to copy the source of a page, create a new page and page the source of the old page. Login to your wp-admin area and head to the Pages section. Find the page you want to copy and click ‘edit’. Once you are on the pages edit area, click the text tab at the top of the wysiwyg editor to view the source. Click inside the text editor and select all of the source and copy it to your clipboard (control + c on windows). You can also use a WordPress plugin called Duplicate Page, but it will take longer to install and active the plugin then just copying the source. Most WordPress templates come with a sidebar by default which can be side either on the left or right side of the WordPress website. To edit your sidebar, login to the wp-admin area and click the Appearance->Widgets menu item in the left menu. On the widgets page, you will see available widgets on the left and your widget area on the right (sidebar). To add items to your menu simply drag them from the available widgets to the widget area. If you want to add a title to your sidebar widget, then click on the widgets box to expand the options. Enter your title into the title field and click save. To remove a sidebar widget, simply click on the widget to exand its options and click the red delete link in the left bottom corner. 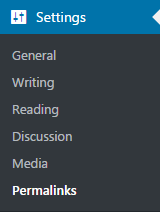 If you want to change the order of your widget items in your sidebar, just hover over the widget box, click and then move the widgets in the order you want. This is how you edit your WordPress sidebar. WordPress has a simple interface for creating awesome menus for almost any area of your WordPress site. We are going to show you how to create a main menu and integrate it into your theme. First, login to wp-admin and head to Apperance->Menus. On the menu page, click create a new menu. Name your menu something descriptive so you know which one is which. Click create menu and then you will be able to add pages, post, categories and more to your new menu. Select the items you want to add to your menu and click ‘Add to Menu’. Note that your menu will not be saved until you click Save Menu. Now that your menu is created and has some links in it, we need to tell WordPress where to show this menu. click on the Manage Locations tab at the top of the menu page. Since we are creating a main menu, we want to show it in the Primary Menu location in our theme. 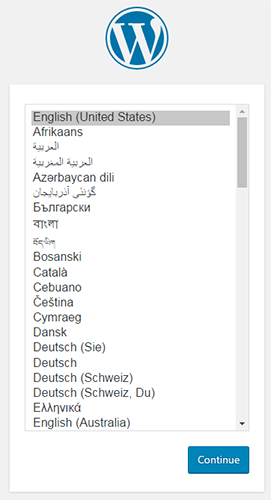 Select your newly created menu from the dropdown and click Save Changes. Your new menu will now be show as the main navigation on your WordPress website. 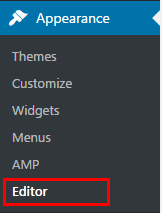 WordPress installs a few default themes when you install it on your server. Themes often have a link to the creator or if WordPress created the theme, a link to WordPress saying ‘Proudly powered by WordPress’. The problem is that we want more links coming in then out so removing this link is good for both SEO and brand trust. To remove the powered by WordPress footer link, login to your wp-admin area and head to the Apperance->editor. 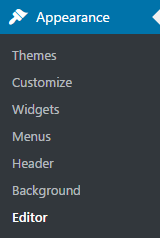 Once you are in the editor, look on the right sidebar where you will see all the template files of your current theme. 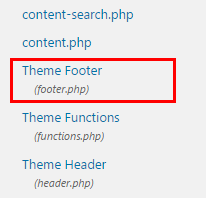 Find the footer.php file often named Theme Footer. Click on the footer.php file to edit it. If your theme has a different link (like to the theme creator, etc) then look for the <a> tag or the link anchor. Once you find this string of code, simply delete it and you have now removed the powered by WordPress footer link. 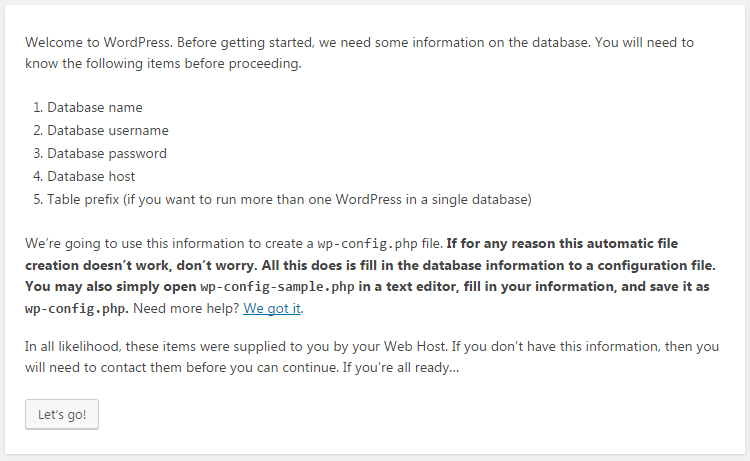 The easiest way to install a WordPress plugin is to do it via the plugins area in the WordPress admin area. Click the Plugins link on the left side menu to be taken to the plugins page. Once you are on the plugins page, look for the ‘Add New’ button at the top and click it. Here is where you can search through the WordPress plugin directory to find plugins to install. Use the search in the top right corner to find exactly what you want or use the filters to find featured and recommended plugins. Currently, in 2017, there are about 30,000 WordPress plugins available. Once you have found the plugin you want, click the Install Now button in the plugins card. It will take a few seconds to install, then the Activate button will appear blue which means the plugin is ready to be turned on. Click activate and your plugin is now install and active! Installing a WordPress plugin via the upload method is someone similar to the method we used before except we are going to download the plugin to our computer and upload it through the WordPress backend. Head to your wp-admin area and click the Plugins link in the left menu. On the plugins page, click the ‘Add New’ plugin button at the top. Instead of searching, click the Upload Plugin button at the top. A upload section will appear when you can browse to the zipped file of your downloaded plugin on your local computer. Once you find the file click open, then the install now button will be active and ready to click. Once you install the plugin you will be take to a page where you can active plugin. Click the Activate Plugin and your plugin should now be active. Installing a theme via FTP is probably the most difficult way to install a plugin and is not recommend for amateurs. This method may be used if you purchase a plugin that isn’t in the WordPress plugin directory and you aren’t able to use the up-loader because your file upload size limit is too small. First, download the zipped plugin file to your local computer and unzip the entire folder to your desktop (making sure it the files stay in the single plugin folder). Next, use your favorite FTP client to connect to your Server and head to the /wp-content/plugins directory where you should see all your current plugins. Find your extracted plugin folder on your local computer and drag the entire folder over to your server in the plugins folder. Once the files have been transferred, head back to your WordPress back end and go to the plugins page. You have now installed a plugin via FTP upload method. Uninstalling a WordPress plugin is very easy. Login to your wp-admin area and head to the plugins page. Look in your plugin list for the plugin you would like to uninstall. If the plugin is active, click the Deactivate link (we must deactivate before we can delete it). Your plugin is now uninstalled. To completely delete the plugin from your WordPress website, just click the delete link. Your plugin is down uninstalled and deleted from your WordPress website.